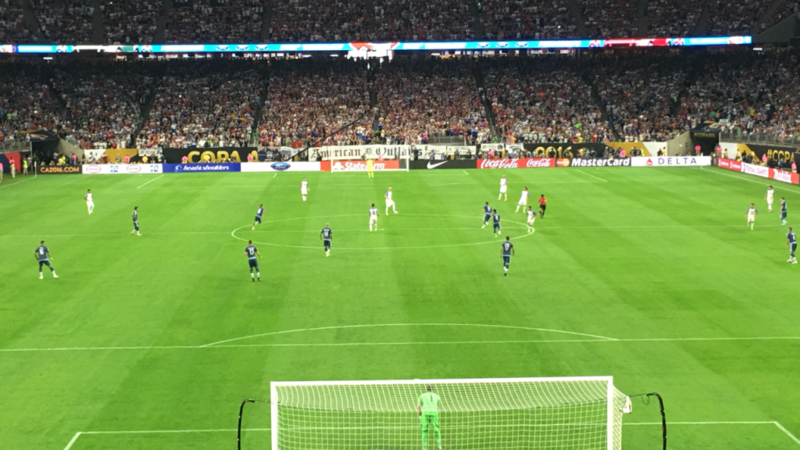 Tuesday evening we were fortunate enough to make the road trip from Austin to Houston and witness the USMNT take on the greatness that is Messi and his Argentina squad. 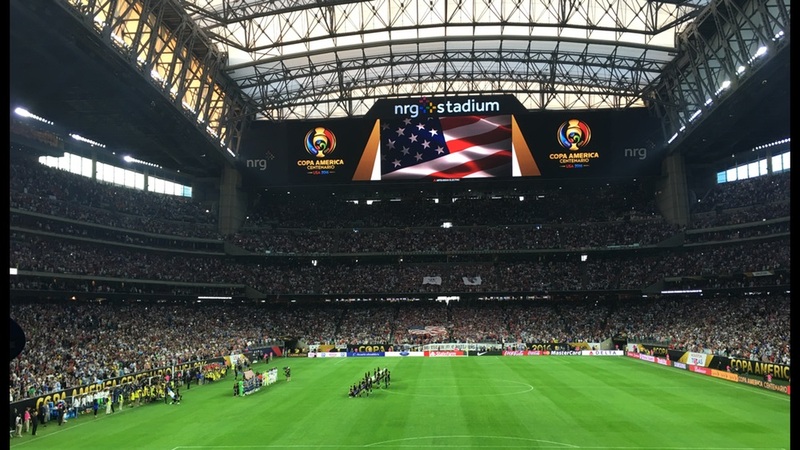 The winner of the match would be headed to the Copa America Final and many of the red, white, and blue supporters had hope. 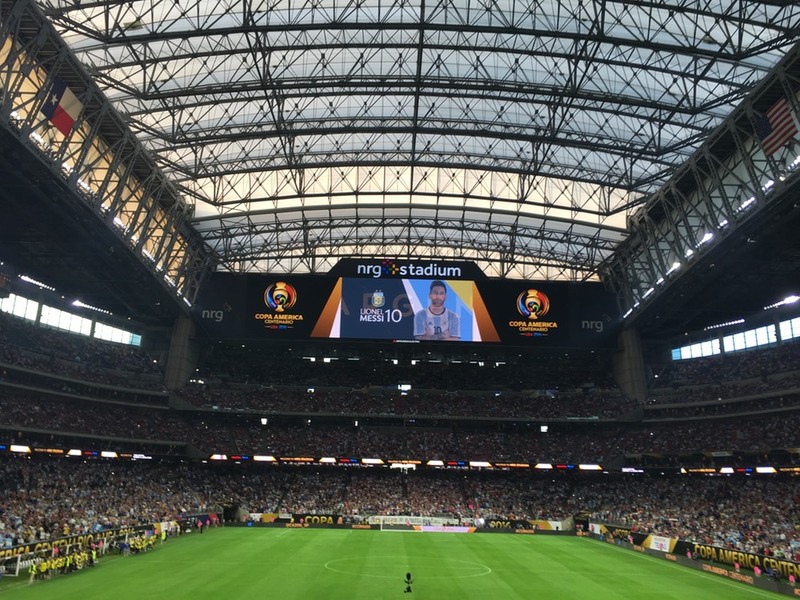 NRG Stadium was sold out prior to game day. The crowd of 70,858 was greeted by a tremendous amount of pregame festivities, including tailgates and a large fan zone on the south end of the stadium. The crowd was heavily in favor of the USA, yet the Argentina supporters were also there in great numbers. It was one of those great human scenes where both sides’ supporters celebrated the the sport, rather than using the event as a platform for an outside agenda. The game, however, belonged to Argentina. Following the first kick any idea of an American triumph became harder and harder to hold on to, as the US conceded an early goal and failed to chase the game for a result. The third-minute goal was followed by a Messi free kick from 27 yards out, that makes him Argentina’s all time leading scorer; a strike that could well be the goal of the tournament. The Barcelona star appeared fit and in top form, and was a much more dangerous player than the last time the Americans faced him in a friendly. 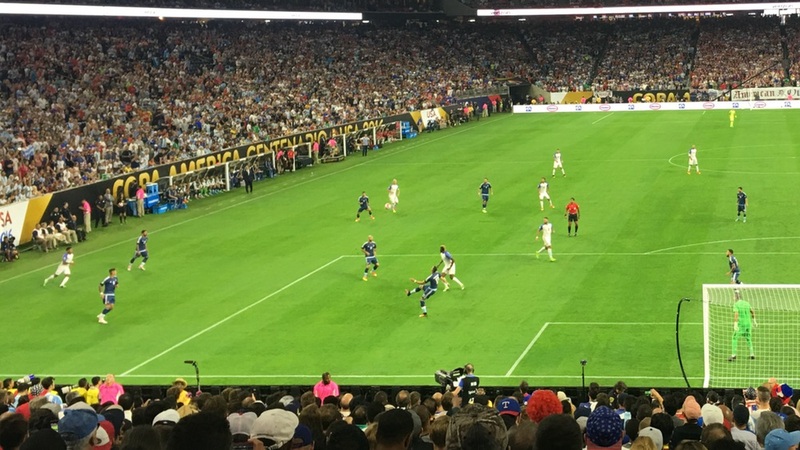 To borrow a line from Ray Hudson, the USMNT “played tighter than a Meg White snare drum.” For most of the match the host team had difficulty making first touches that would allow them the opportunity to keep possession and move forward. On the defensive end, there was no controlling this dominant Argentine attack. Even with the disappointment of last night, the Americans have earned a spot in the 3rd-place match against Colombia. A match against Los Cafeteros will provide a chance for redemption. With a payback result against Colombia in the 3rd place game this year’s Copa campaign must be considered a success for the Yanks. 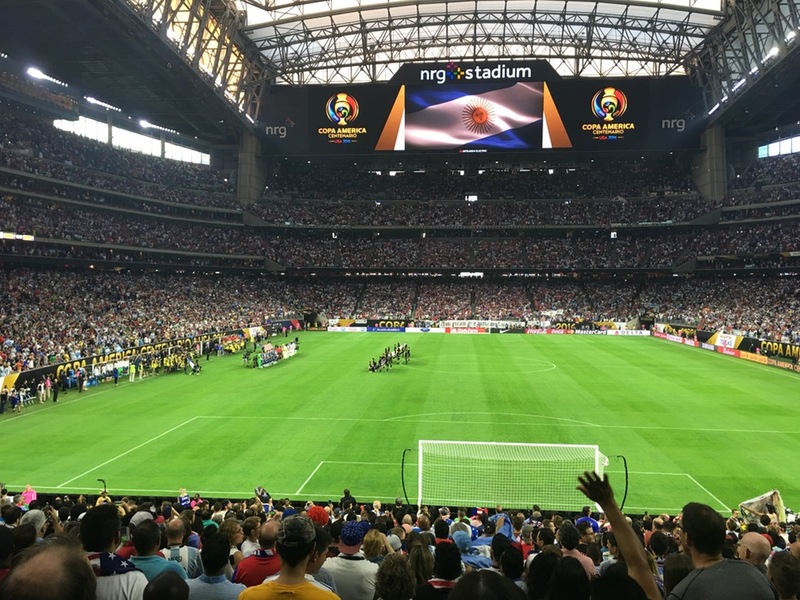 We know the Copa America Centenario experience has been great for fans of the game, and supporters of the USMNT hope the squad will grow from this historic tournament. Previous Can Dempsey Lead the Yanks Past Argentina?